As we discussed in part 1 of this series, much of today’s B2B selling cycle happens online without human interaction. When done right, the brand delivers a clearly-defined experience driven in large part by the customer’s previous digital behavior. The customer experience may feel self-driven but is actually tailored based on data insights that the brand has gathered. But this tailored experience doesn’t always start smoothly or proceed logically. Sometime the brand has not reached that level of marketing sophistication and sometimes the digital relationship is just too new for the brand to have much data to go on. But more often, the brand just doesn’t realize it’s not all about them anymore. It’s about the customer, dummy! At the beginning of the journey, brands and their potential customers must get to know each other and learn how to design a win-win relationship. If the brand is talking about themselves rather than listening to customer requirements, the relationship is likely going nowhere. Company X – let’s call them Acme – has been marketing and selling the same way for a long time, and it’s been working well. They are the 800-pound gorilla in their space. Half of their customers are legacy, and net-new business comes from referrals and brand-building activities like events. Life was good until competitors built disruptive platforms and started delivering highly-touch service. Now Acme’s Sales team are losing deals and they are pressing Marketing for more and better leads. Marketing feels that Sales is too old-school and mishandles the leads. Finger pointing and blame-throwing ensue and customer requirements get lost in the mix. If Acme’s story sounds familiar, it’s because we all regularly engage with companies that have gotten too comfortable as leaders in their industries. Think Telecom and Transportation. The Baby Bells were dominant until disruptors like mobile networks, Skype, and chat came along. Transportation modes from airlines to taxis had it good until WebEx, Uber and the like. We could list many examples, but the lesson is clear – no industry leader is safe from disruption. This is tough news for brands that have never had to build win-win customer relationships or design customer experiences that anticipate prospects’ next needs. Even the biggest brands would be well served to take a fresh look around. They’ll find that prospects and customers no longer want to be talked AT – they want to be worked WITH. Consider the downsides when the buying journey doesn’t align with the prospect’s requirements. The prospect may be leaving a trail of digital breadcrumbs but still not being seen. Why would they stick around? Getting customer-focused can be enormously difficult. It means integrating systems, data, and processes in order to enable customer-focused campaigns. Instead of spraying emails, Marketing must learn to nurture prospects with stage-appropriate offers based on their interactions – the right message at the right time in the right format and channel. Sales must learn to pick up the conversation and engage at the right time, tailoring their approach based on activity history. All customer touchpoints become orchestrated. TPG calls this evolution The Revenue Marketing Journey. Focusing on the customer’s experience versus “the way we’ve always done it” will evolve your customer relationships to a new level. As your company moves from tactical to modern marketing, your customers will experience fewer disjointed communications, more relevant and timely information, and offers that enable their own growth and revenue. They will purchase, buy more, renew, and even advocate… a win-win relationship. If your prospects are saying that “it’s not all about you” anymore, consider adapting to their needs. Evolution is not just an advantage, it’s a requirement. In the last decade, Marketing Technology (MarTech) has proved to be a powerful integrating force within B2B enterprise marketing groups. But counteracting that strength is a powerful and persistent weakness. Since joining The Pedowitz Group, and in my own B2B marketing strategy consulting practice beforehand, I have rarely encountered a large organization that doesn’t have a SILO problem. As companies grow through M&A, each acquired company brings its own MarTech, data, staff and processes. Few enterprises are good at assimilation, so the silos persist, and gaps often deepen–especially if the leadership in the acquired company is strong. Business units are generally organized around product lines, and business unit leaders are incented to defend that territory, staff and budget. To ensure that revenue increases year-over-year, they allow rogue marketing groups within the units to bombard customers with emails. These groups are often called Field Support or Sales Enablement, each has access to a detached email program, and their messages are all about product announcements and promotions. The end result is the same for the customer – dozens if not hundreds of irrelevant emails from the same company each year. Many opt out. Few buy more. Put another way, sales funnels are vertical like silos. What these companies need is a horizontal model, bridging the silos. Business units must stop propping up their own growth at the expense of the overall customer relationship. The longer leadership waits to introduce that new horizontal model, the more opportunity is lost. Silos will persist if leadership continues to give a wink-and-nod to rogue behavior in the name of short-term revenue gains. C-level leaders must relentlessly enforce a new cross-silo business model until it become a way of life. Consistent and persistent communication about integration must be part of every leader’s job. Executives often choose to jump-start such a change by bringing in a marketing consultancy like mine. Such groups have the outside perspective to see the silos and recommend ways to bridge them. Changes can be technical, process-driven, or organizational. Then best-practices can be overlayed. Here again, leadership must enforce and reinforce to make sure the beauty isn’t only skin-deep. Leaders, as new managers join your company, there will be a tendency to back-slide into territory-defending postures. Don’t let this happen. Silos are the one thing keeping your marketing organization from real impact. And poor customer experience is the one thing keeping your enterprise from maximizing each client’s life-time value. The power of Marketing Automation can be mighty, which is why I was sorry to see the announcement that Adobe is purchasing Marketo. There are many advantages to the acquisition, as described by Trevor Parsell on LinkedIn. But it will require Enterprise customers to eat a full-course meal when they might be better served with a la carte ordering. This merger does what most do – it will stifle continued innovation from the industry leader and it take away customer choice. Marketo has been setting the pace since 2006, and now all that energy will go towards integration with Adobe’s Marketing Cloud. Or at least the appearance on it. Then, as that integration proceeds, consumers will no longer have the same choice to “build or buy” in the Marketing Automation Space (MAS). As a Marketing Strategist, I have helped a number of large enterprises spec and purchase a new MarTech stack. At the outset I advise that there are really two choices: Build your own best-in-class SaaS stack with Marketo at the center or purchase a Marketing Cloud from SalesForce (Pardot), Oracle (Eloqua), IBM (Silverpop), or Adobe. As you might expect, MAS providers are good at Marketing. Up until now, Adobe’s Marketing Cloud was composed to more than nine programs presented with a slick integration story that makes it hard to tell which program does what. Their MAS portion required a purchase of Adobe Audience Manager, Target, Experience Manager, Campaigns, Analytics, and Core Services. More modules if you want social and media integration. Think all that is cheaper than one Marketo purchase? Nope. I did the apples-to-apples due diligence two years ago for Fiserv, and the Cloud license is always more expensive. And more convoluted. Because the Cloud-provider wants you to buy their whole suite, they make it expensive and difficult to integrate with the SaaS you already have. And very difficult to establish API connections and map data. Suddenly the purchaser finds out that they are facing a long, complicated implementation that requires expensive Professional Services help for a year or more. (Longer if the provider can arrange to get bogged down). But it’s easier to go through your company’s Procurement and Security labyrinth just one time, so you choke down the check. Rather than buying a full-course meal, I have always recommended a la carte MAS. Marketo has established robust API’s with many other best-in-class MarTech SaaS (and there are many). So you can keep what you have and then add what you want when you are ready to digest it. Just what you can chew. Sadly, now enterprises will only have a choice of Clouds. Adobe will likely chop up Marketo’s functionality into modules to sell separately (which makes apples-to-apples pricing comparisons almost impossible) and build-your-own MarTech stacks will become too difficult for large enterprises. I’m sure all those best-in-class SaaS vendors who get referral business by being part of the Marketo Premier Partner Program are seeing their futures fade. I’m not saying Adobe’s Cloud isn’t good, or that change is bad – just saying that choice is better. A quote widely attributed to Albert Einstein reads, “The definition of insanity is doing the same thing over and over and expecting different results.” This is increasingly true in B2B Marketing, where the pace of change has accelerated exponentially in the last decade. Instead of thinking in terms of start-and-stop projects, we now recognize that data is always flowing, and our work is never done – or shouldn’t be. This graph from The CMO Survey 2018 shows that CMOs (at least the ones who answer surveys) are aware of their moving targets. They are focused on continuously improving at least five major marketing categories: talent, process integration, organizational alignment, technology, and data. Let’s look into their thinking. Talent: Increasingly, companies are hiring for specific technology expertise. A social media manager might be hired for Hootsuite skills, then need to master Buffer, Oktopost or whatever’s next. These workers need time to learn new programs – and to cross-train on systems already in use. Otherwise organizations can fall behind or be left in a lurch when employees depart. Integration: Every enterprise has silos, either divisionally or departmentally. Progressive companies are increasingly taking steps to build connectors – because systems need to share data, processes need to deliver the right information, and workers need to connect in relevant ways. Integration is never as easy as it sounds, and never complete. Organizational Alignment: Business units often go to market in silos, sometimes on different platforms. Units A & B might both be targeting the same market using different email tools. Outcomes might include SPAM violations, poor customer experience, and the opportunity cost of not sharing data. Organizational coordination is critical to the successful use of all resources. Plus, over time it delivers a full view of customer experience, the extended pipeline, and cross-unit revenue. Technology: The MarTech ecosystem is doubling every year, with over 7000 active SaaS solutions in 47 categories. Last year’s best-practice leaders may not be this year’s, and each of the marketing clouds have strong and weak points. Selecting and purchasing modern tools requires ongoing due diligence and the acumen to achieve internal buy-in. Data & Content: Databases and content libraries also need constant attention. We all know data must be shared, augmented, tested, and analyzed for critical insights. Likewise, content can quickly become out-of-date, portions may be off-brand or off-message, and most needs alignment to a persona journey or selling stage. Your organization should be constantly auditing, culling and analyzing to make sure that relevant, personalized content is part of the customer experience. You may be thinking that relentless forward movement takes an insane amount of work. Perhaps, but it would be more insane to keep marketing the old way. Plus we’ve got a lot at stake. Proving to the organization that Marketing is progressive and contributing is critical. Executives may still have the impression that Marketing is project-based arts&crafts. They need to understand that we’ve got insanity down to a science! Another point of discussion was near-and-dear to my interests. MarTech and CRM systems now collect massive amounts of data about customer touchpoints – from email opens to ad clicks to social media engagement. Clearly payments data includes much more information about transactions. Could we marry those data streams to see the customer journey from consideration to transaction? “It’s a discussion we’ve been having for years,” says Drago Dzerve of Verifone, “The sticking point has always been about a unique customer identifier to connect the data. Now phone numbers are becoming an increasingly viable connector.” Seem worthy of more discussion. 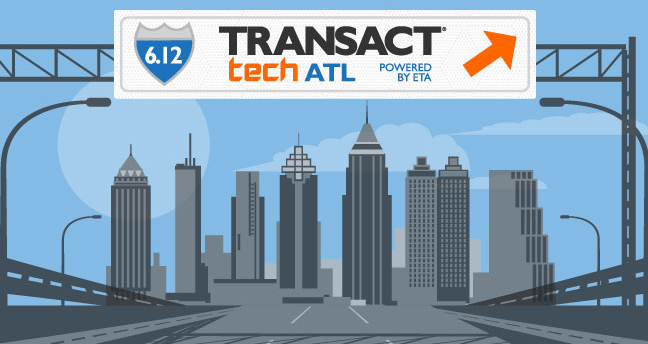 TRANSACT Tech ATL was buzzing with energy. The key message from these FinTech leaders…there’s much more to come. Stay tuned! According to Scott Brinker at ChiefMarTec.com, the average enterprise today now uses over 1000 cloud services. MarTech presents the largest menu of vendor options. As of April 2018, over 7000 active MarTech solutions are available in 47 categories. That’s 700% growth in the last four years! Funding is stronger than ever, predicted consolidation has failed to materialize, and only about 5% have dropped out. So the mad proliferation looks to continue. It’s a daunting landscape for any company wanting to construct a MarTech stack. Within the six major categores, every sub-specialty contains dozens of choices, all of which require due diligence to understand if and how they would fit together. What’s a CMO to do? Get help! As I wrote in a previous blog, for there to be optimal outcomes, MarTech stacks must share data and capabilities across business units. Management must sponsor, support and invest in cross-silo governance. And someone must be responsible for integrated content, messaging and corporate point of view. The CMO is ultimately responsible, but bandwidth is often an issue. Many companies are hiring “conductors” to make sure all the parts come together. With so many choices and so little time for due diligence, hiring a silo-bridging integration expert is smart. The opportunity is too big to leave to chance. Ten years ago a seismic shift rocked the B2B Marketing community. Marketing Automation Systems (MAS) began cracking our foundations. Suddenly they were “on the radar” of every marketing executive, becoming required learning. Within a few years investments in MarTech were happening across corporate America. I would argue that another smaller shock wave has followed the initial quake. As companies embraced MarTech, their expectations and requirements for Marketing staff also changed. Clearly, technology-enabled silos are forming inside B2B Marketing. Soon we will all need to be a perfect fit for our next job – the right industry, the right product knowledge, the right technology expertise, the right location/price/profile. We’ll have careers in silos. 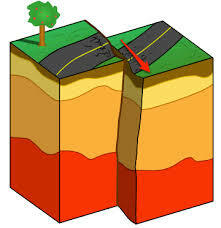 The problem we are facing, I fear, is that silos lead to canyons. Integration will become more difficult as leaders build out specific skill areas. As I wrote in a previous blog, companies are now seeing the need to hire integration consultants to build bridges across all their silos. Ironically, the silos are forming around the MarTech that was supposed to integrate us. To quote myself, “How does an organization get its orchestra to make beautiful music? A conductor.” The Chief Marketing Officer, when there is one, should lead the effort to integrate and bridge silos, but cannot be the only person who sees the big picture. Marketing leaders must resist the pressures to become so tightly focused that they can’t adapt to daily shock waves or prepare for the next seismic shift. I’m huge fan of MAS and would never want to roll it back. But before we all get so specialized we can’t diversify, let’s mix a bit of that art back in with the science. Growing companies accumulate a lot of content – good, bad and ugly. Marketing generates everything from short-form materials such as blogs, posts, and web copy to long-format content such as white papers and eBooks. And don’t forget all the collateral and presentations generated out of Sales. Content libraries need regular attention. Content can quickly become out-of-date, portions may be off-brand or off-message, and most needs alignment to a persona journey or selling stage. But your staff is busy with new projects and doesn’t have the bandwidth to audit, cull and refresh your content library. That means good content is going to waste, bad content is still in circulation, and your customers are not getting what they need when they need it. If that sounds familiar, you clearly need a content strategy. Whether you hire someone full-time or select a contractor, these are the important tasks your content specialist should tackle. Equip your internal resources to continue best practices. If you’re not content with your content, make it a priority. You could have the best MarTech stack in the world, but without relevant content and messaging, the leads won’t flow. An effective demand-generation engine needs constant care and content feeding. In his recent MarketingProfs article, “The Brand-Content Preferences of Different Age Groups,” Ayaz Nanji examines HubSpot survey data and concludes that every age segment has different content preferences. Seems we all consider videos “the most memorable type of brand content.” But other channels have more divided loyalties. The MarketingProfs and HubSpot articles point out age differences in preference for “long-form” versus “short-form” formats. Long-form content (articles, research reports, and ebooks) are more popular with older segments. 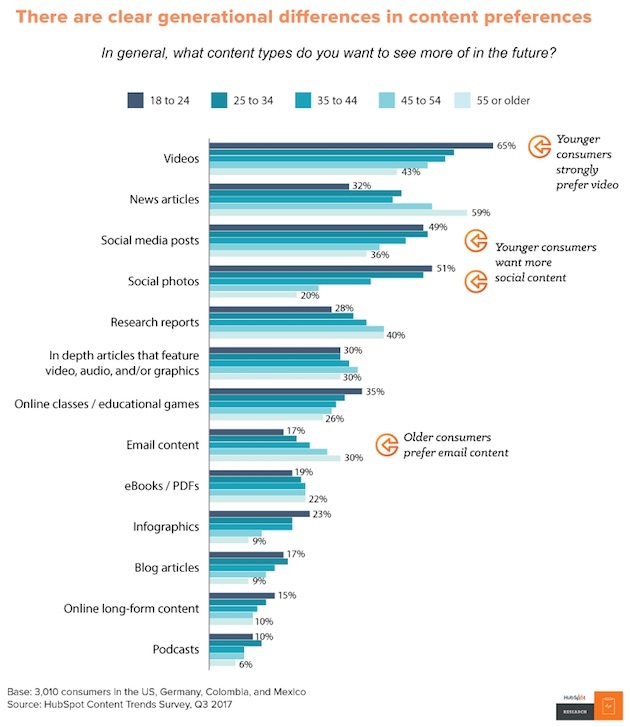 Short-form content (Social posts, games, infographics, podcasts and blogs) are all more popular with younger segments. But remember, correlation does not equal causation. Therefore it would be unwise to develop content-delivery plans around one variable such as age. To be effective, your company’s personas should be constructed from diverse data sources. But even then, it may be necessary to satisfy content needs across generations and job titles. For example, decision-makers (perhaps older) may ask influencers (perhaps younger) to do initial due diligence. Or for a substantial technology purchase, a company may form a buying committee with five or more members. Each may have different information and channel preferences – and require personalized web content, SEM Ads, landing page content, nurturing emails, event content, etc. Effective personas blend information about roles, motivations, pain points, information needs, channel preferences and more – glued together with historical data and experience. And even if personas are robust and effective today, they may need tweaking tomorrow. The take-away: Consider all data (in whatever format you prefer), but think about your buyer personas holistically. Build your persona journeys based on multi-factor analysis and consider the information needs of buying groups. Then create and deliver your content across the ages.